Our new foreign material visual inspection system is part of the SiftAI product line. Leveraging artificial intelligence the foreign material detector is engineered specifically for hunting down and finding things that simply don't belong. Once trained the system can detect virtually any foreign material whether its a loose bolt or a broken wire, and even hair. This system enables you to automatically remove foreign material from your product line or incoming raw ingredients. 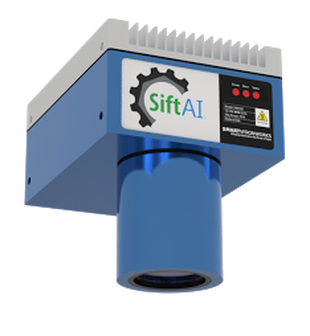 SiftAI is faster and more reliable while being a fraction of the cost of human inspection operations. Much like our standard SiftAI, generating AI models for foreign material detection is simple. All you need to do is run product under the system so that it can collect images, this will help us understand what good product looks like. These images can be sent to our team of vision experts who can then train and deliver a model to SiftAI. Check out some videos below to see it in action.